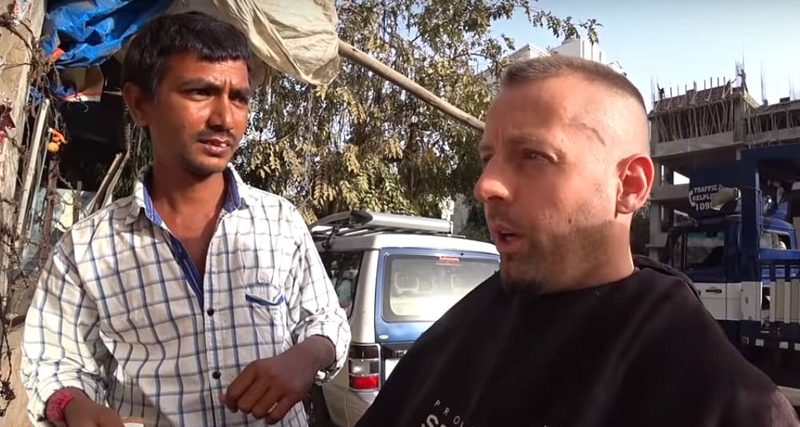 Harald Baldr, a Norway citizen, recently got a haircut from the streets of Ahmedabad and ended up paying a lot more than he was supposed to. Screengrab from Harald Baldr / YouTube. 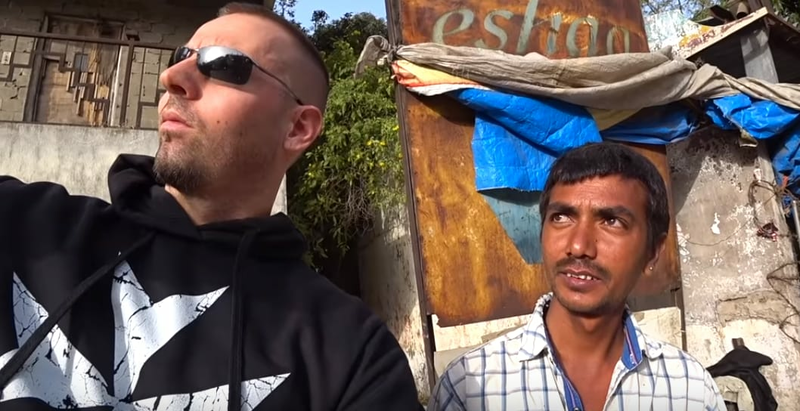 Norwegian YouTuber Harald Baldr, who is popular for his travel vlogs, is currently touring India and recently got a 20-rupee haircut on the streets of Ahmedabad. Sounds like every foreign vlogger checking the to-do desi thing, right? Probably. However, Harald ended up paying Rs 28,000 for the haircut. Did it blow him away or was he simply conned on tape? In the now-viral video, Harald walks up to "street-salon" hairdresser and asks him for a quick trim - while taking his permission to film the haircut for his YouTube channel. "As soon as it's over, I'm gonna try and grab someone around here that speaks English. I'm very curious to know how this business - how it's working. How many customers he has per day. And I would like to hear if he has to pay anyone to be on the pavement for salon," the YouTuber, seated on a chair, says during his haircut. The Indian hairdresser, too, pulls out his smartphone out of curiosity and records the unique experience. "It's pretty good actually," Harald reviews his haircut and the two promptly snap a few selfies together. "20, right?" Harald asks the hairdresser and hands him a twenty rupee note. Expecting to be charged more, Harald expresses his astonishment. "That was pure honesty. He told me straight up it was 20. He could have asked for a hundred and I wouldn't have flinched," he says and pulls out $400 -- that converts to Rs 28,000 from his pocket to give it to the hairdresser before adding, "I reckon this is the best candidate found on my travel so far an extra reward." He then takes help from an English-speaking local to explain to the hairdresser that the donation he made was for him to buy new equipment and taking care of his family. After accepting the money, the grinning hairdresser buys him a cup of coffee. If you are new to Harald's world, the YouTuber loves touring the world and is doing a series where he spends a month's funds collected from his fundraisers and gives it to a deserving self-employed individual or an entrepreneur every time he spots one. His act of kindness was hailed by fans and viewers on his YouTube channel. "Harold I like your videos so much dude! I'm a barber from Los Angeles, California it's great to see through your videos of how people from different backgrounds and walks of life can come together and share many beautiful experiences and learn from each other over a simple haircut! Keep making these great videos. Stay true," wrote one user. "Can't think of any other Youtuber who gives away his Patreon Subscribers money in such a way, this will make such a difference to peoples lives," wrote another. "Really nice of Harald. 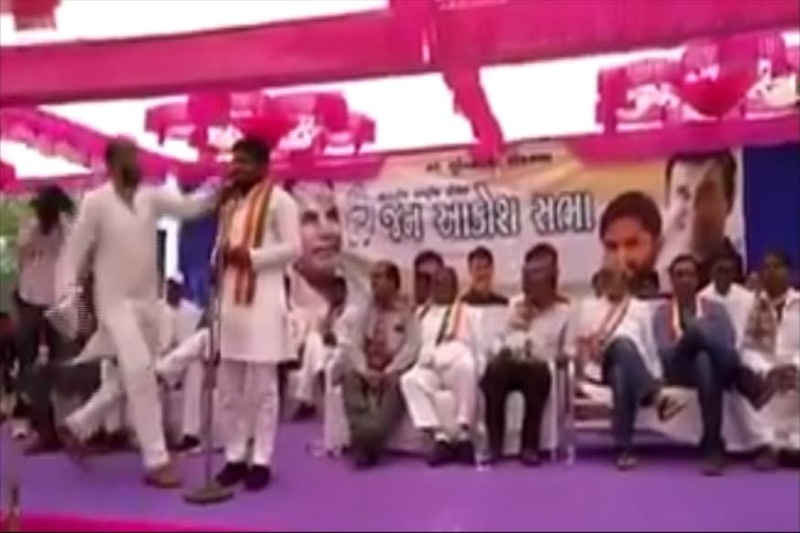 This is even better considering that he got scammed/abused by food stall guys in Ahmedabad (some famous chowk area, forgot the exact name) just a couple of days before this video," wrote one Redditor. Harald recently donated $1000 (Rs 70000) to a government school in Gujarat and even sat down for a mid-day meal with the kids.